... Y U No Tweet?! 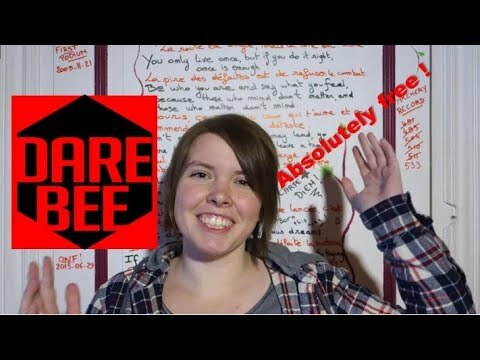 Or use #darebee? This was posted a year ago. We just saw it today. Thank you so much for posting this, Mayel! Subbed! And watched your video about Dutch 'stroopwafels' too, And your pronunciation is quite good, only 'stroopwafel' itself is a bit off. We are thinking of coming together with some Dutch Bees, maybe you could join when we do? Oh, and your reaction at Tony's Chocolonely is hilarious.